"You probably know you can double tap on the screen to zoom in on some text, but if you want to change how far you zoom in, you can tweak the zoom level in your browser's settings." The default never bothered me but I didn't know it could be changed. If you hit your <Menu> button and then go to "More" and then "Settings" you'll see an option for "Default Zoom". This will control how far your browser will zoom in when you double tap on a web page. The default is "Medium". You can make it "Far" if think the default zooms in too much or "Close" if you don't think it's goes in enough. 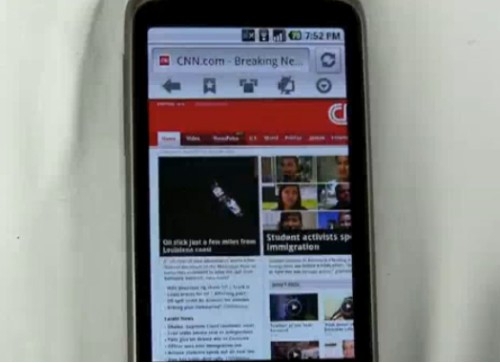 This works using the built-in browser on my Droid X with Gingerbread (Android 2.3.3). After trying the other two options I think I'm going to go with "Far" for now. Text is still legible but it does fit a lot more of the page on my screen at one time. Let us know what you think!